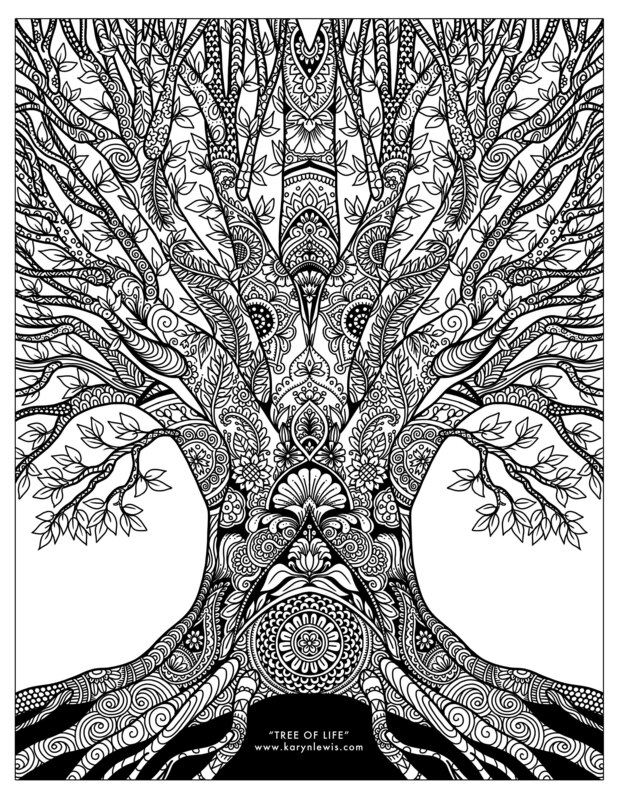 Celebrate your love of nature with this gorgeous free coloring page for adult coloring book enthusiasts. This “Tree of Life” illustration is full of lots of doodle art inspired details that are perfect for colored pencils or gel pens. Click on the images below to choose which file type you would like to print.